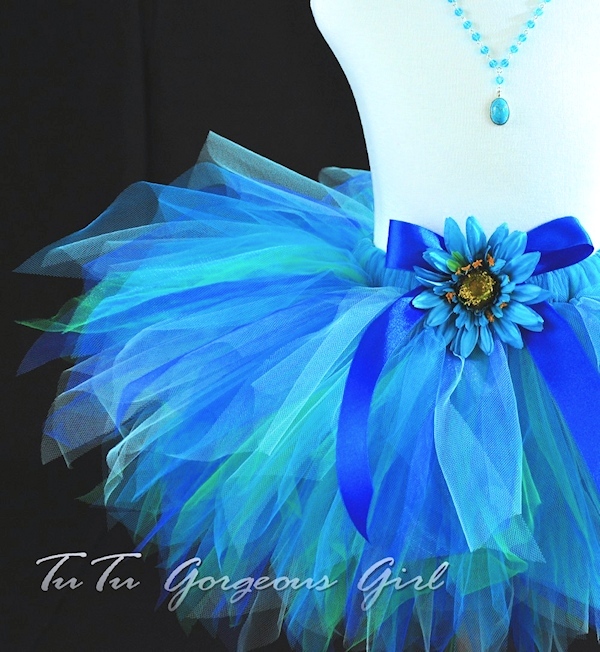 Blue tropical birthday tutu, turquoise fairy tutu for girls and women. The Caribbean Blue pixie style tutu is made with a stunning combination of blues and greens that are reminiscent of the beautiful waters of the Caribbean. 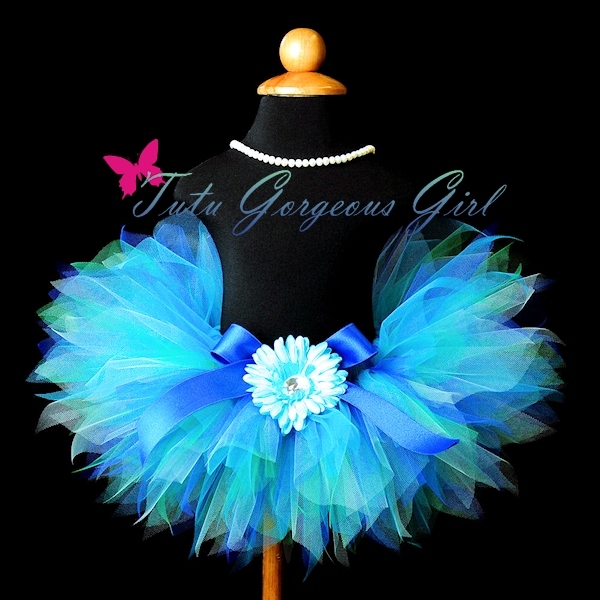 This tutu is perfect for flower girls, special occasions, a photography prop, or birthday.